A hidden paradise of Jeju Island and a designated UNESCO Biosphere Conservation Area is now threatened as a naval base is being constructed for use by the U.S. and South Korea. The largest temperate soft coral reef in the world and a myriad of endangered species are in danger. Gangjeong Village is seen as a utopia by visitors and residents alike. Utopia is defined as an imagined place in which everything is perfect. This concept is often perceived as far-fetched and implausible as even the dictionary states utopia as “imagined”, but the village of Gangjeong is challenging that perspective. Gangjeong village has a population of about 1500. 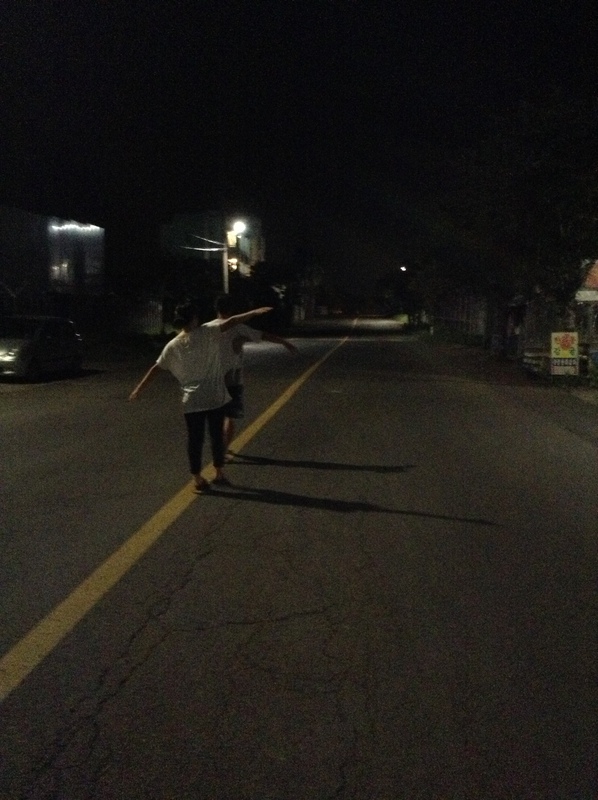 There is no theft, no beggars, and crime is unheard of. Paintings of flowers, trees, and symbols of peace are seen on the gates of the villagers’ homes and the walls of local shops and businesses. Tangerine trees are grown all over the island and farming and fishing take over the lifestyle. In passing, all the villagers greet each other with a smile or a friendly wave as many have known each other for years or generations. Yet, debate over the construction of a naval base has created tension and dichotomy. Homes and markets are now seen as anti-base or pro-base, and yellow flags on bamboo poles indicate which stores that anti-base community can support. Past the bridge next to the lower gate of the naval base, you can walk along a serene, shaded path towards the rocks where the river meets the ocean. The view of neighbor islands, mountains, and the sound of flowing water are definitive of Gangjeong village and explain the unique culture of love and peace. 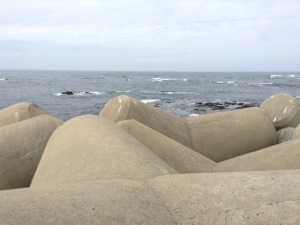 Yet, as you sit on those rocks, you may be disturbed by the sounds of machinery and the view of large construction cranes that obstruct the peaceful atmosphere. On your right, the construction is in full blast to build the naval base supported by stakeholders in the U.S. and South Korea as well as businesses like Samsung and Hyundai. Tall walls with barbed wire attempt to block the view of construction, but from the activists’ watchtower and through the Save Our Seas (SOS) team that kayaks around the base to monitor and record the construction, you can sense the tremendously detrimental impact a naval base will have on Jeju Island. 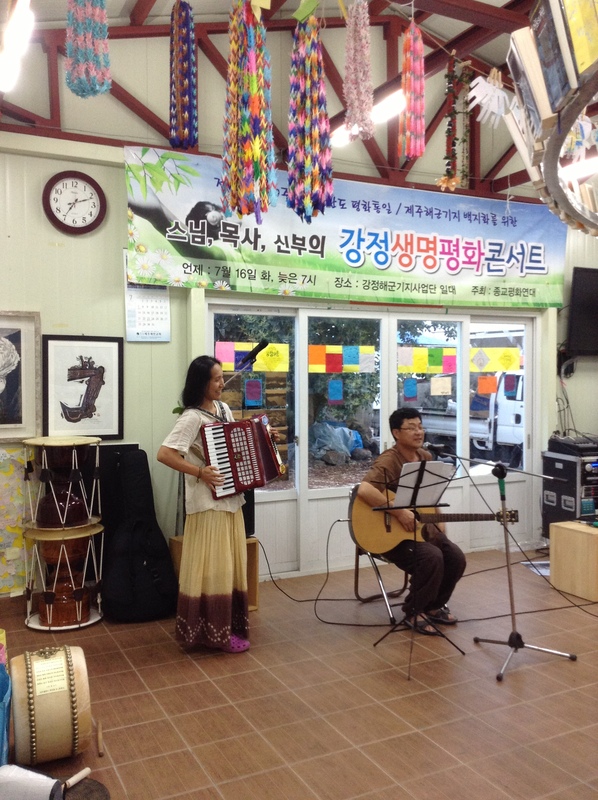 Music, art, community, and peace distinguish Gangjeong village from other towns. At the end of each long morning, regardless of the daily clashes with the police, the activists hold hands blocking the gate to sing and dance to songs dedicated to the village’s struggle for peace – with big smiles on their faces. It’s about 11:30 and the police are at the gate now just as they are everyday during the Catholic mass where the nuns and priests sit to block trucks from coming in and out. Yesterday, Thursday the 18th, at least six coach buses filled with police flooded the gates with large shields to push the activists out and allow a conservative group to come in and tour the base. About 200 officers showed up to block 20 peaceful activists. You could hear the police shouting “push!” as they created a wall with their shields. Passing cars slowed as activists shouted at the police and struggled to cross the street or move freely along the sidewalk. Many expressed that this was the most police they’ve seen in months. 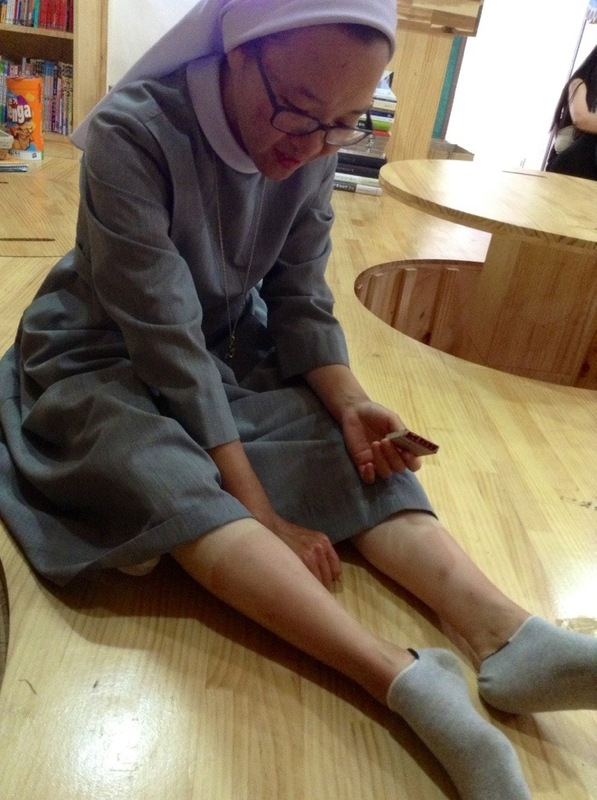 Outside of the daily struggle, the volunteers are working to plan the week long walk around Jeju Island in solidarity against the base (7/29 – 8/4). 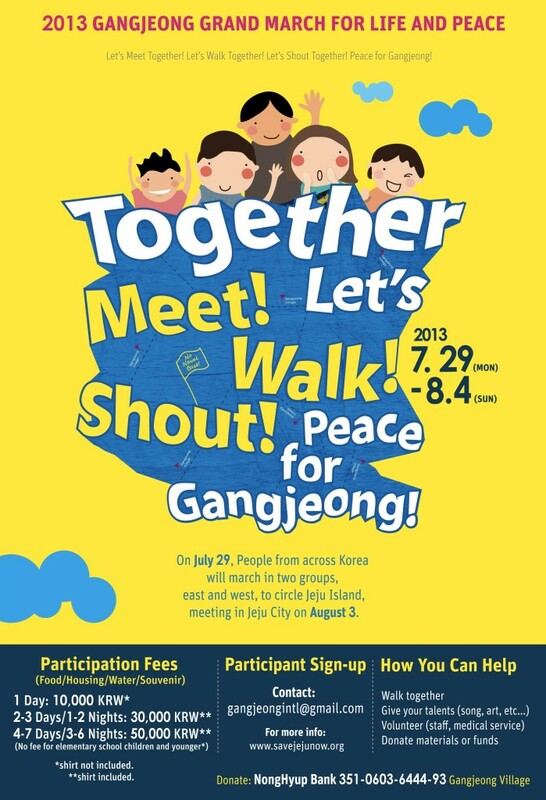 A Peace Festival will follow on August 4th at 12 noon in Gangjeong Village. Please join us in person or in spirit. More to come as the days pass. For more information, please visit savejejunow.org or check out the “about” page of this blog.